At WD Services, we carry more than 100,000 filters and stock nearly 95% of all filters currently available on the market. With a promise to ship to you with impressive speed, you can be sure that you will receive your filters promptly. We pride ourselves on being a top provider with the absolute best customer service in our industry. Our dedicated customer service team responds to customer requests promptly, allowing us to determine your needs immediately and ship your orders at blazing fast speeds! We know that you need your filters pronto, and it is our top priority to respond to your inquiries and ship to you as quickly as possible. We provide shipping time frames that tell you when can expect to receive your orders, and strive to ship the same day you place your order. Our credibility is vital to our success, and we take great care in selecting the best companies to partner with. So, instead of spending hours searching the internet for the top suppliers in the industry, you can come to us knowing that we have done the research for you. Even if you didn’t purchase your booth from us, we are happy to assist you in identifying and supplying the correct filters for your needs. 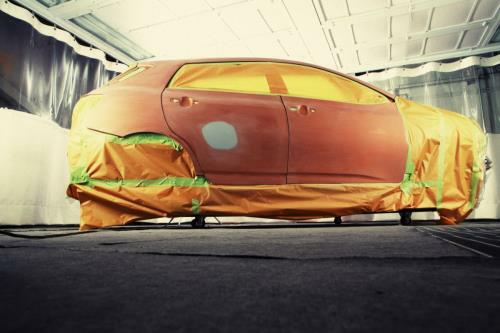 WD Services has been a leader in the paint booth industry since its establishment in 1998. We believe our success and the trust we have earned from our customers is due to the emphasis we have placed on creating a personal, one-on-one, experience. It is our top priority to meet the needs and expectations of our valuable customers, by continuing to provide variety and new products. You can count on us to provide you with the most reliable service, the quickest turnaround, and the best products. Contact us today with all of your spray booth and filter questions. Our customer service representatives are ready to assist you!